The Yantra is made on Bhojpatra; using Knmkum Paste and affixed on a wooden piece and kept in the Pooja Place in the home, office, shop or factory along with the images or idols of Laxmi and Ganesha .The Yantra can also be hung on the wall in the above places. After preparation it is energized as usual by offerings of Dhoop, Deep and Flowers. Then everyday it is worshiped in the same manner along with the other Deities in your Pooja Place. what to do afterwards with the yantra? 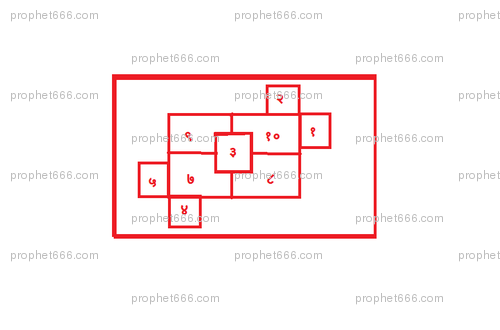 Gurujee can I make this yantra on a piece of white paper. Is it ok if we do not affix on wooden piece and instead we do laminate to hung on wall or to keep in pooja place? Affixing the Bhojpatra or Paper Yantra on wood is only to make it firm, you can laminate it instead and hang it on a wall or keep in the Puja Place. Happy Diwali and New Year to You..
As it is not mentioned with whom to write I have written with match stick is it fine? Dear Sir Happy Diwali to you I hope you had blessed one. You have so many people admire for your work but Why do not you respond to every one. I understand you must be busy with your life and great work you have been doing.I bet everyone who reads your blog they appreciate you whole lot and every one who asked you questions they are importent to them. I am One of your admirer.